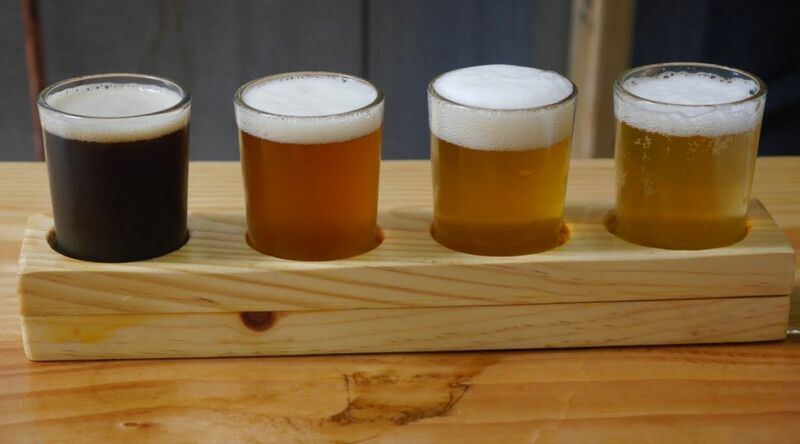 Walking distance from Council and quite close to Societe is a new brewery called Kilowatt that is focusing on adding flavors to their beers outside the traditional hop, malt, and yeast flavors. This means fruit added to some beers and other flavors added to stouts, including chocolate, nuts, and spices that you see on occasion. They have a fairly large space for a new place and are brewing some solid beers for a young brewery. I tasted 10 different beers when I stopped by though I didn’t get to try everything because the IPA was not available (too many beers on tap to include) and some were better to just try the flavored versions (the blonde and brown ale were skipped in favor of the flavored ones). 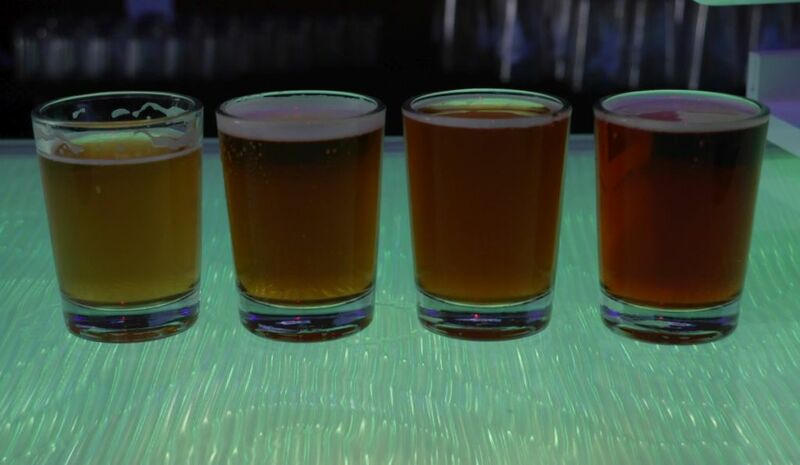 The photography was a bit difficult because they have an interesting light up bar that changes colors so I tried to get photos of the tasters while the color was white. First set of tasters I tried the strawberry blonde (made with frozen strawberries added), the kilowatt pale, mango pale (with frozen mango added), and angry amber. Second set I went with the cinnamon hazelnut brown, coconut chai porter, chocolate macadamia stout, and one eyed willie stout. I ended with the Obliquity double IPA and Dr. Rudis double IPA. The strawberry blonde was a nice subtle strawberry flavor with a mild amount of sweetness. I would have preferred it to be more intense like the mango pale. The Kilowatt Pale was quite mellow to me and didn’t really let the hops or the malts really shine through because of the lower alcohol content. It makes a nice background for the mango pale though, which was one of my favorites. The mango was so intense it was almost like mango juice with those delicious Mexican mangos. The angry amber was a solid amber ale with a lot of dark fruit flavor at the front and a nice balanced flavor with a pretty mild hop bite. The cinnamon hazelnut brown had a lot of intense cinnamon at the beginning but it mellowed out over time and especially tasted mellow compared to the rest of the dark beers on tap. The coconut chai porter had a nice ginger bite at the front but later mellows out to a smooth coconut with mild spice. The chocolate macadamia stout has a smooth chocolate flavor that becomes creamy when you add the macadamia. I found it to be quite balanced and delicious. Comparatively, the one eyed willie stout was too acidic and dry and lacking in the roasty character I look for in a stout. Finally I tried the double IPAs. The Obliquity seemed to be a bit too malty for my tastes though it could have also been the blend of hops that I wasn’t a huge fan of. It seemed to be more on the balanced side of things with lots of earthy, dank hops and a strong bitterness. The malts didn’t really seem to fit with the hops to me so much either. Comparatively, the Dr. Rudis double IPA was more on the tropical fruit/juicy melon side of things and much lighter on the malts, which was more what I prefer to have in a double IPA. Overall, I thought Kilowatt was doing some great stuff when I stopped in. 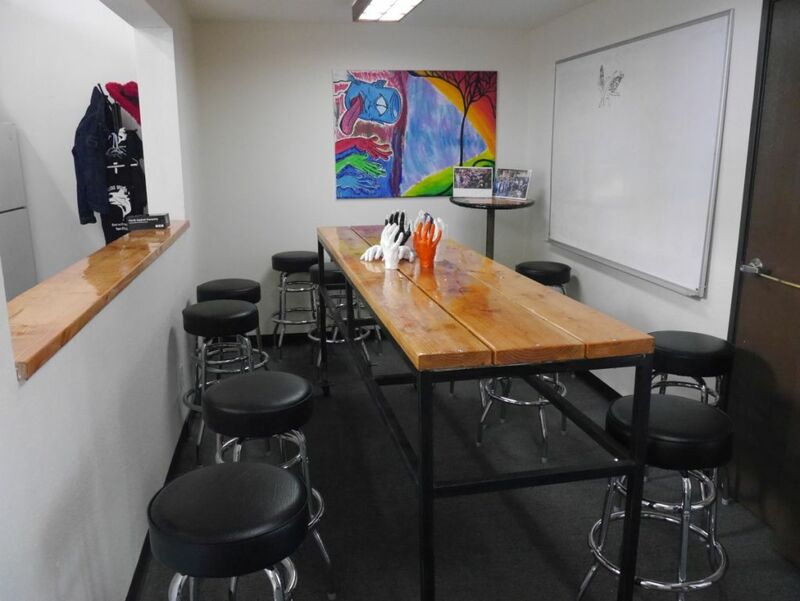 The addition of fruits and other things really gives them unique flavors in a crowded market and their tasting room is large enough to accommodate a good group. I will have to come back soon to try their single IPA but a lot of what I tasted was very nice and will likely bring me back to try some more at a future time. Due to the various laws in place in Oklahoma I wasn’t able to visit Prairie and do tasters. 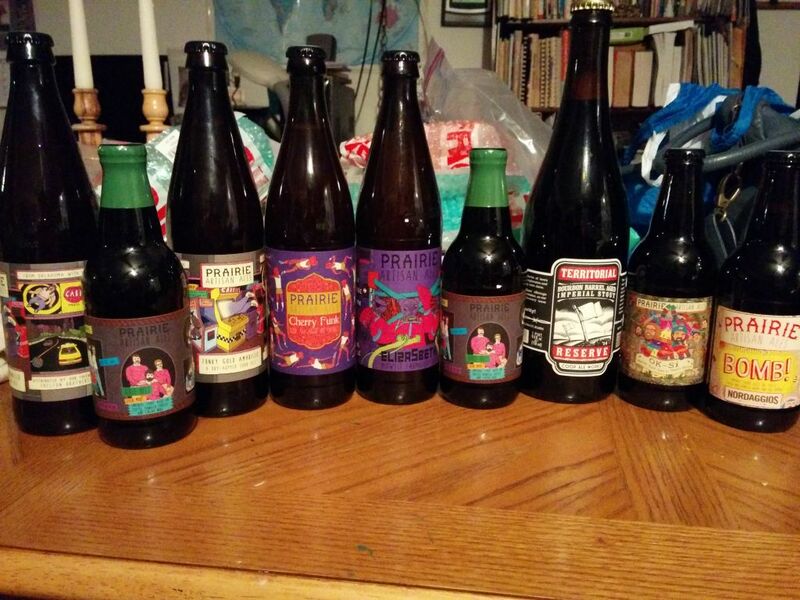 So while I was in town in April of 2015 I stopped by to pick up a few bottles around Oklahoma City from one of the best known Oklahoma breweries. 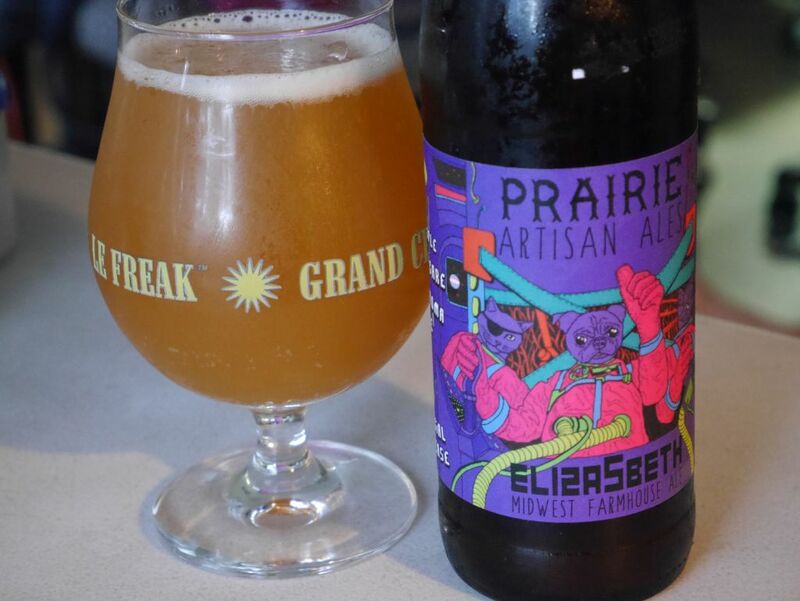 Prairie is known for its farmhouse ales and imperial stouts. I got to try a few examples of both. I tried the different beers listed here over the course of many days after I came back from Oklahoma. 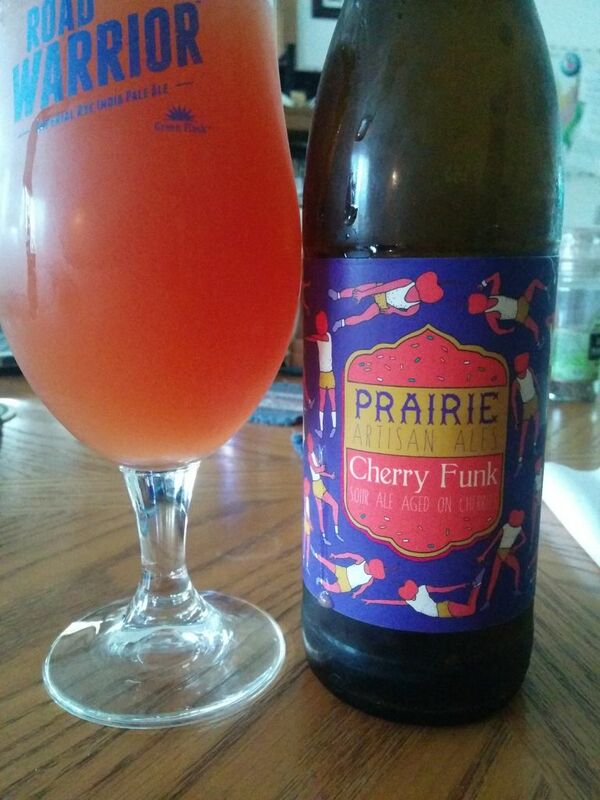 The Prairie Cherry Funk was a nice highly carbonated and lightly tart cherry beer that tasted like carbonated juice. Given its 7.5% alcohol it was hidden very nicely. The Funky Gold Amarillo was a nice strong citrus tart that blended nicely with the inherent tart and the hops. It had a very interesting tart lemon flavor at the end. The Eliza5beth, a tart farmhouse was a nice beer that poured a cloudy lighit orange flavor with a lot of carbonation. The flavors were a mix of tart peach and belgian yeast. It was mildly tart but could have gone more tart from what I tasted. 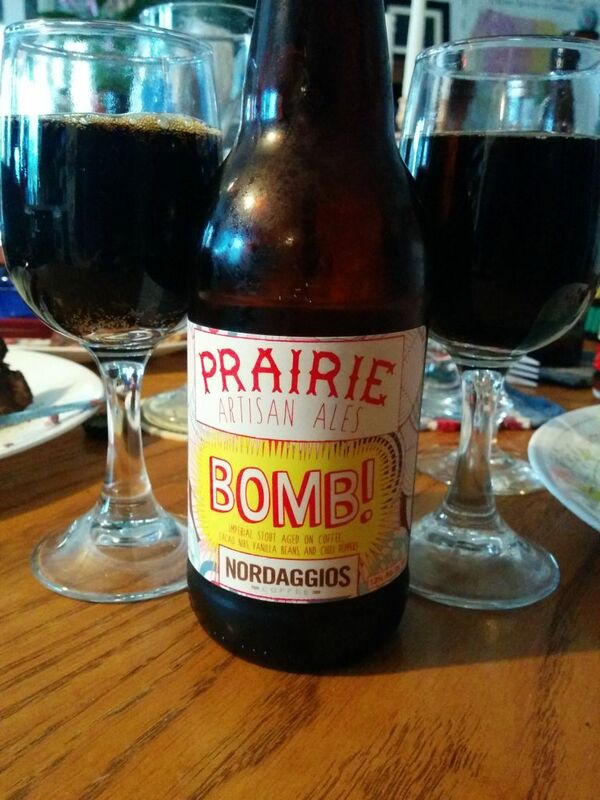 Prairie Bomb is one of the most popular beers from the brewery. A strong imperial stout, this beer is sold in individual 12 oz bottles. At 13% it was strong yet not boozy and had a perfect balance of the coffee, chocolate, and chili peppers. It was lightly sweet with just enough hot pepper flavor and a nice mellow chocolate to make a world class beer. Compared to this, the Bible Belt, a collaboration brew with another brewery, was not as sweet and had a lot more prominent flavor from the peppers. It was almost acidic cherry and lacked the balance of the Bomb. As the beer warmed up, the coffee became more pronounced. 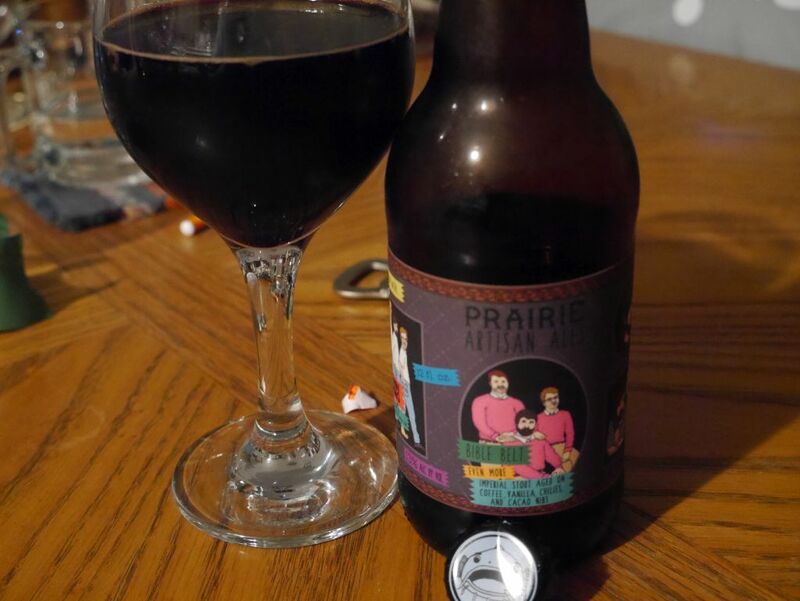 The final beer I tried from Prairie was called OK Si, a tequila aged imperial stout. 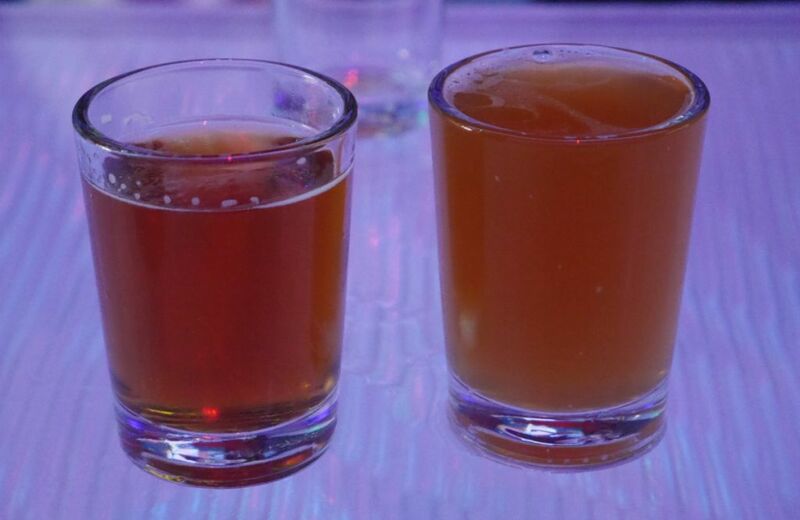 I thought that the tequila added a nice bite to the overall beer though I still preferred the Prairie Bomb as the best of the three. 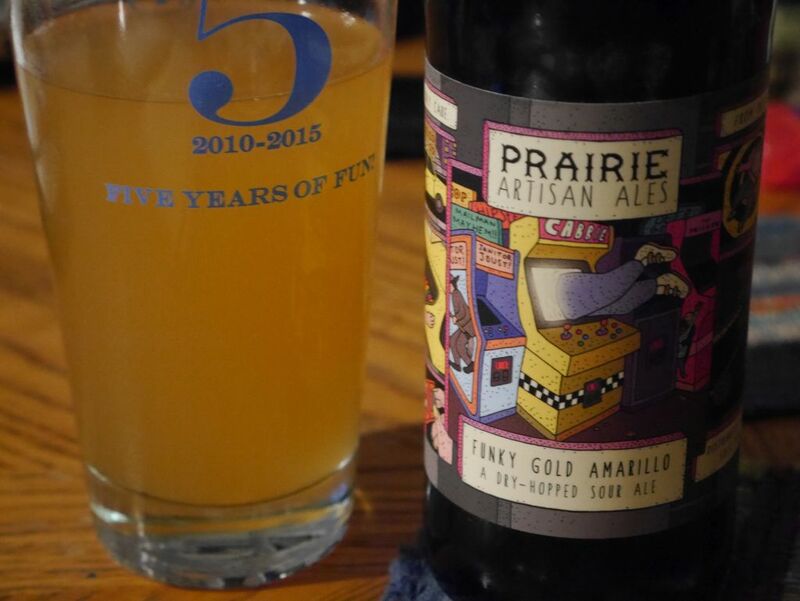 Prairie is a highly rated brewery and it deserves the praise. The Bomb is still my favorite of all of them and is worth checking out if you are able to get it for a good price. 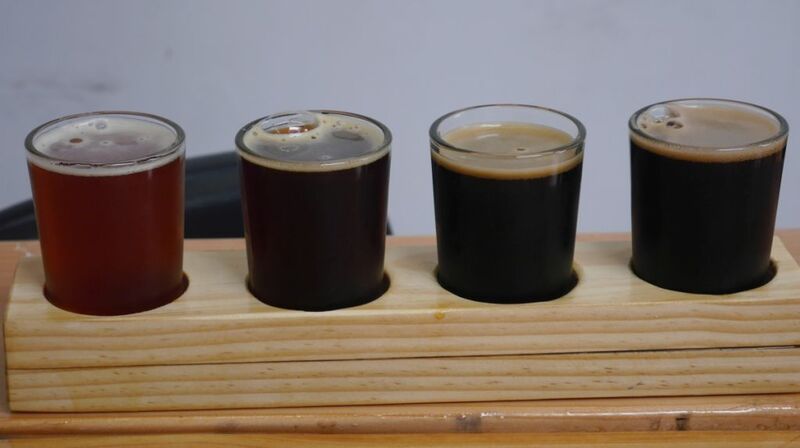 Hopefully one day Oklahoma will change their beer laws to allow people to visit the brewery for a flight of tasters. 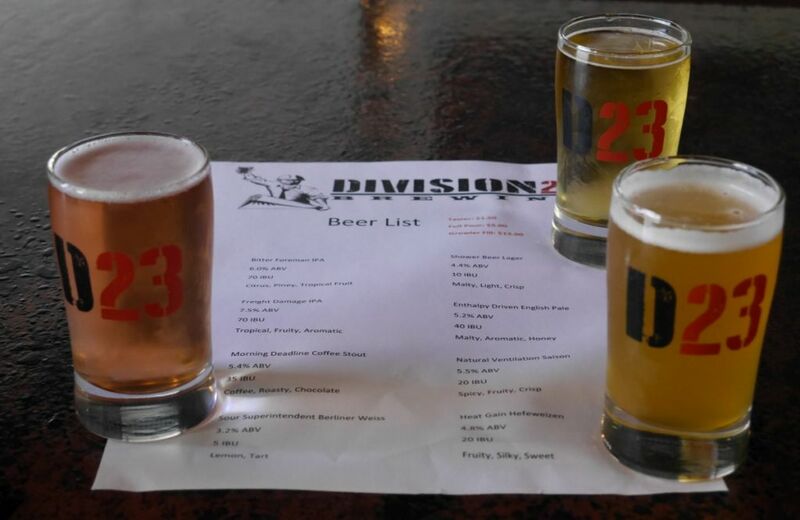 Division 23 is one of the newest breweries in the Miramar area. They opened officially on May 16, 2015 and have been pouring beer on Saturday and Sunday for a few weeks now. Like Intergalactic brewing they are hiding in the back of an industrial complex but they do a good job of giving you signs to send you to the right place. Like most breweries you enter through the back entrance where deliveries would normally drop off. (Hint: If you see typical glass doors like an office building you need to go around the back.) 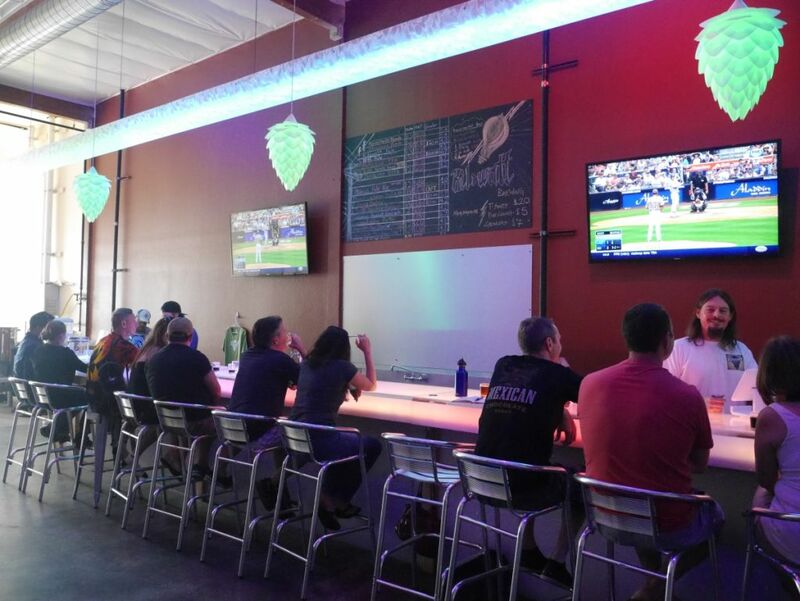 It is quite close to the new Ballast Point restaurant and the newly opened Reckless Brewing. This is what the front entrance looks like. 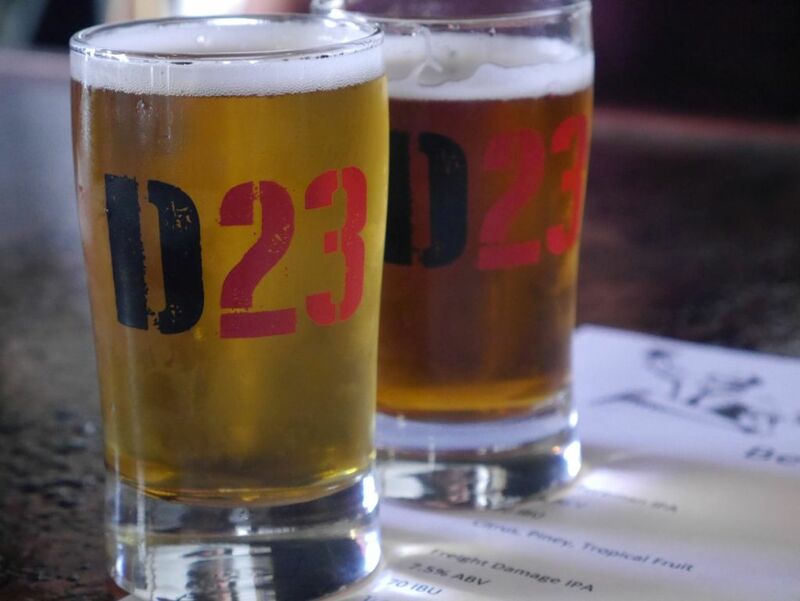 When I came by on June 6, 2015 they had 8 beers on tap with an interesting variety of styles that are likely to satisfy everyone. They had a lager, hefeweizen, saison, English style pale, berliner weiss, coffee stout, and two IPAs when I visited. 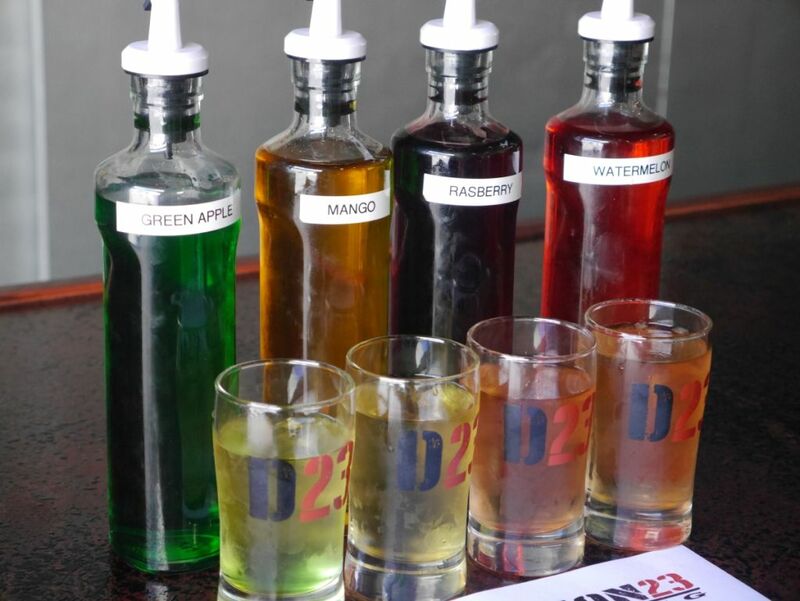 Along with the berliner weiss they offer the traditional fruit syrups to add to your own beers to cut down on the sour flavors and give it a more interesting flavor. Eventually they plan to make some of their own syrups as well. I started with a taster of the berliner weiss (with raspberry syrup), the lager, and the hefeweizen. The base berliner weiss was not too tart, good and middle ground for that. When adding the syrup it really helps balance it out. 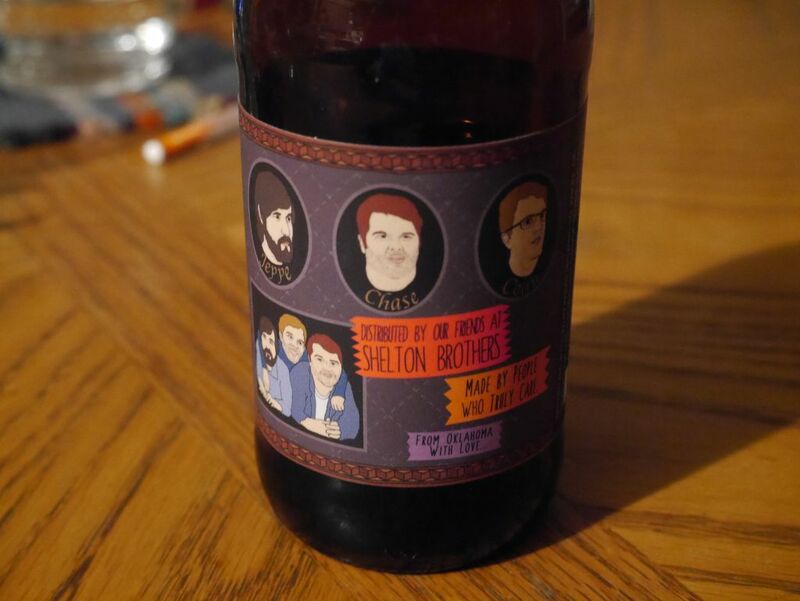 Some people ended up trying four different flavors of this beer. The lager was nice and smooth with a nice sweet creamy flavor. The hefweizen was more fruity than usual and lacked the typical spices that are often added. I wasn’t a huge fan of this but it was popular with people around me. Some bold people near me decided to try four different flavors of the Berliner Weiss. Next I got tasters of the English Pale Ale, Saison, and Coffee Stout. The English Pale was very interesting with a lot of fruity apricot flavors going on and some nice caramel malts in the background. It was very balanced and smooth. The saison was good with mostly fruity flavors coming through. It lacked the typical pepper flavors that you sometimes see in a saison. The coffee stout was my favorite of all of them. Made with Kona coffee, it was very smooth and had a nice forward coffee flavor that really hit the spot. I ended with the two IPAs. The Bitter Foreman IPA had an interesting combination of lemon and pine flavors with a solid bready malt background. The Freight Damage IPA was a bit stronger in alcohol and had more of a light malt bill with more fruit and tropical flavors going on. Neither one was what I would consider west coast style but they were both solid. 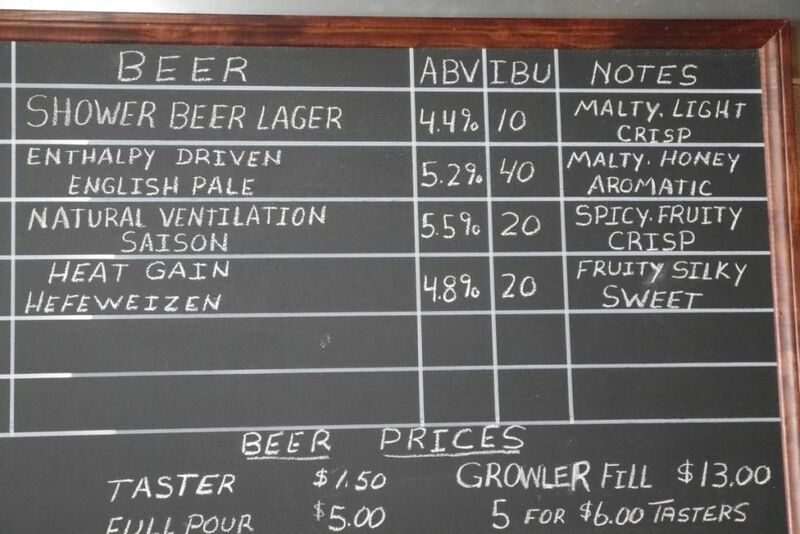 I preferred the freight damage just slightly, though it was just tapped when I visited so it was super fresh. 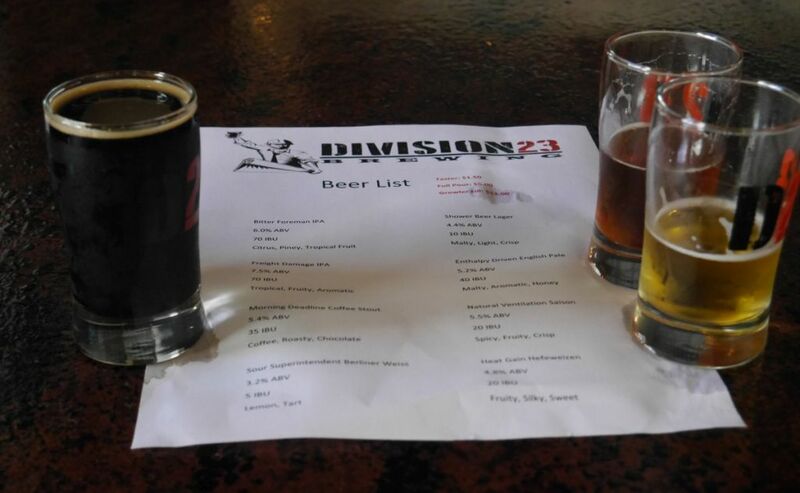 Overall I think Division 23 is off to a good start. 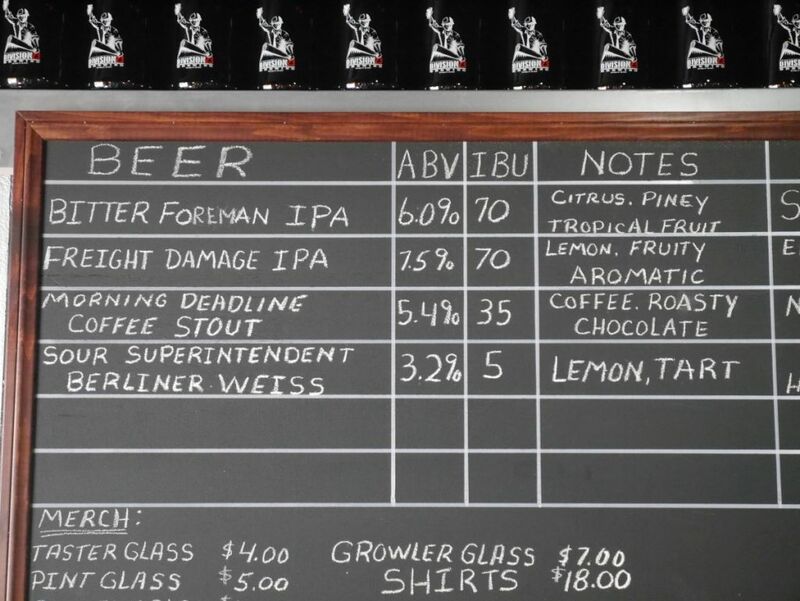 They have a solid lineup and will be keeping the two IPAs, the stout, and the berliner weiss on tap as core beers. They may end up doing some versions of the berliner weiss witih fruit additions at some point as well, which would be very nice. They have a great setup inside with plenty of bar stools at the bar and other seating inside plus games to play and popcorn popping. Open area to relax inside. 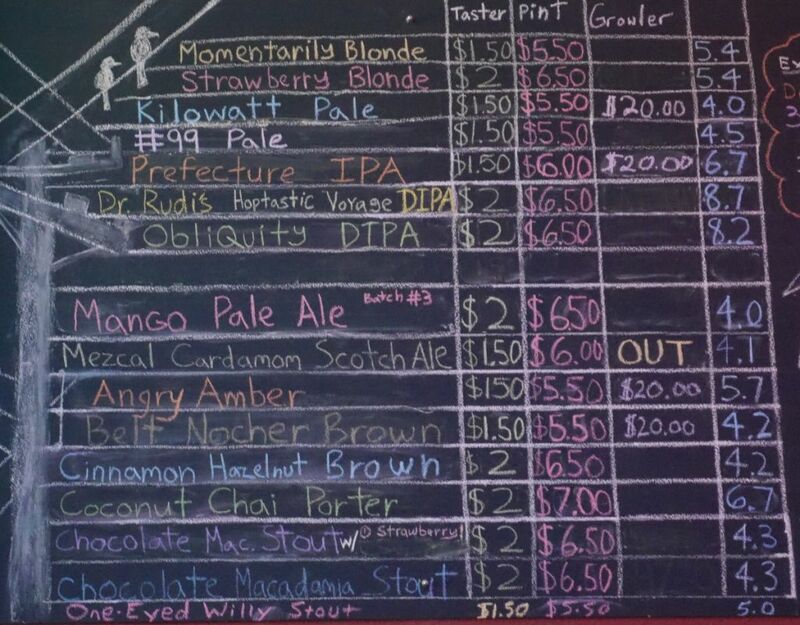 Reckless Brewing recently re-opened on Thursday, May 28, 2015, almost a year after its previous brewery, Wet N Reckless burned down. Dave is still here brewing many of the same beers he brewed before–he liked what he made before so why would he stop? 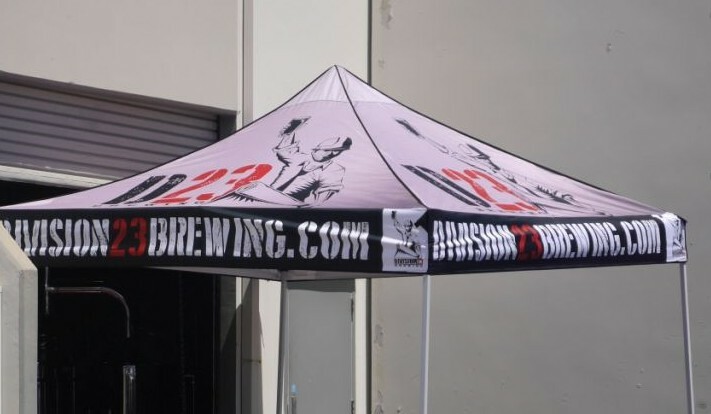 The newly opened location is bigger and now located closer to the rest of the breweries along Miramar Road–right across the street from the new Ballast Point restaurant. 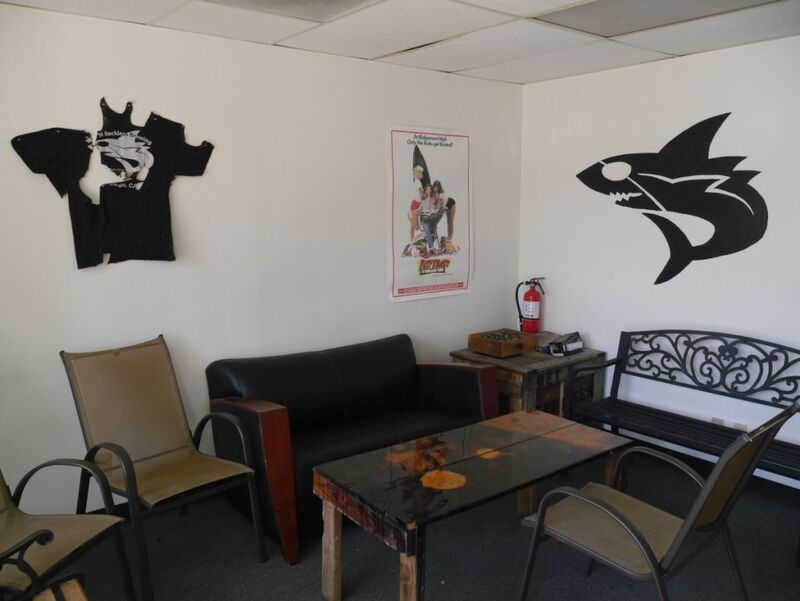 Wet N Reckless was not a very popular brewery when it was open before among the general San Diego beer community. 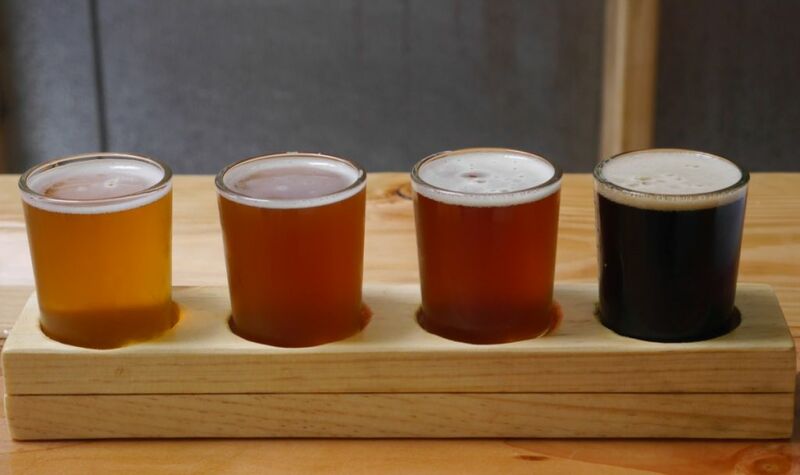 Very few of the beers they brew are to style (made according to the styles that exist already in brewing) and so they don’t always taste like what you would expect. I dropped by two days after the grand opening to see how the beers are because it has been a long time since I visited them the last time. Now that they are newly opened they have taster glasses and no more plastic. I tried all 12 of the beers that they had available on tap. I tried them in an order that I thought would generally save me from having my palate destroyed. Though after trying all of them I don’t think that is something you really need to worry about. The first flight I had was Honey Badger Don’t care, The Dude Abides Rye, Harmless Fun (hoppy imperial wheat) and Beowulf’s Mead. Second I tried the Oral Pleasure, Golden Boy (balanced IPA), More Cowbell (double balanced IPA), and Sultry Black (smoky black ale). 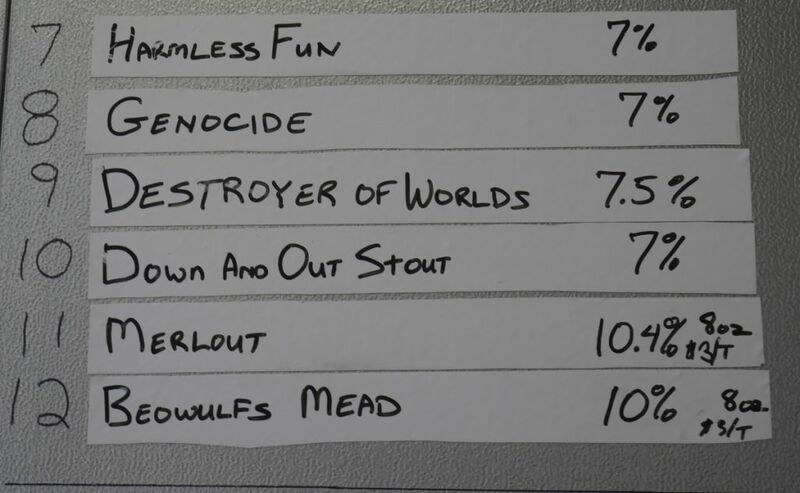 Finally I tried the Genocide, Destroyer of Worlds, Down and Out Stout, and Merlout. For the first flight I was surprised by the Honey Badger Don’t Care beer. It was darker than I remember and quite well balanced. It had a nice sweet dark fruit flavor that balanced well with the honey. The Dude Abides rye was mostly dominated by the flavors of the rye, which gave it a bit of a sweet and slightly spicy flavor while being mildly bitter. Harmless fun was a strange brew to me that didn’t have much of a distinctive flavor. The floral hops were hidden in the background of a strange strong wheat beer. The mead was a nice strong honey beer with a light color and body. It wasn’t really my thing but a few people there with me loved it. The oral pleasure was quite floral and a bit sticky, and the lightest of the various IPAs on tap. Though it isn’t technically an IPA it is closes to the West Coast style. Golden Boy and More Cowbell were both very similar in the malt bill and the overall flavor. More Cowbell was the more balanced of the two beers, with the extra bitterness going better with the malt flavors. Both were dark amber color and the malts tended towards the dark fruits. The Sultry Black was an interesting black ale with a lot of smoky flavors and medium bitterness. This was the closest to a typical stout on the whole list. Genocide was a strange amber colored beer with Columbus hops that was close to a balanced IPA more than anything else. The malts didn’t really go with the hops though. Destroyer of Worlds was a tasty dark fruit malty beer with a color almost black though still heavy amber. Down and Out Stout was too sweet and a bit strange tasting to me. I got a little caramel in the very end but I wasn’t a big fan. Finally, the Merlout was an attempt at getting to a red wine flavor while brewing a beer. The flavors were close to a sort of cheap grocery store red wine with some cloying sweet flavors and some intense cherry. I wasn’t a fan of this one and none of the friends I was with wanted to finish the taster. Reckless added a lot of indoor seating this time around. Overall, Reckless is not going to impress anyone who wasn’t already a fan of the previous brewery. Those who loved a beer or two they made will want to come back and see if their favorites are still the same. 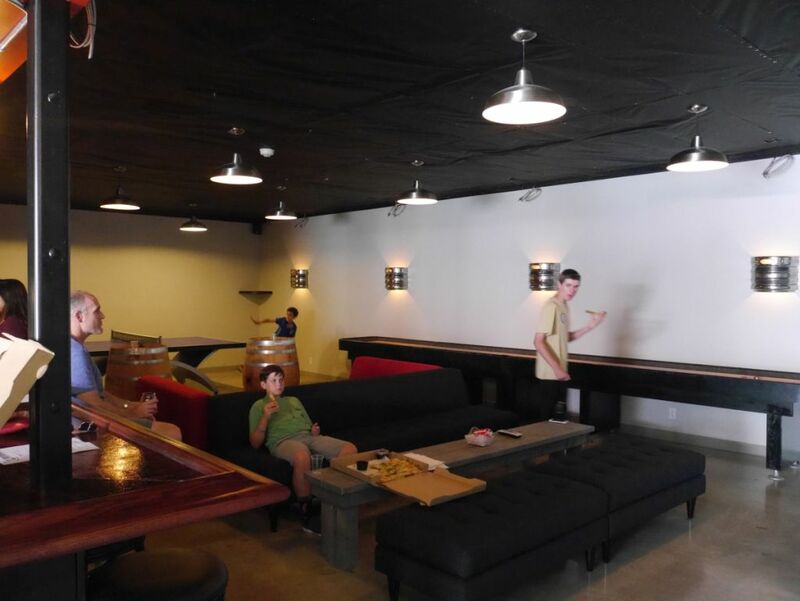 Aside from adding proper glassware they now have a lot more seating and tables so you can enjoy your beer away from the bar. They also have a popcorn machine that is constantly popping for those who love a nice light snack with the beer (no charge for the popcorn).